A dart, a bowling ball and a hatchet — one of these things is not like the others. But that’s about to change, according to Nick Carroll. Carroll is one of the owners of Hatchet Jack’s, a hatchet-tossing bar that will be taking over the space at Gateway One Plaza on Highway 1 that was formerly the location of Family Video. Axe-tossing bars have emerged as a popular trend around the country over the last year. They originated — naturally enough — in Canada and have migrated south, and can now be found in places from Brooklyn to Las Vegas. There will be throwing lanes with big wooden targets similar to the sort of bullseyes used in archery. The layout of Hatchet Jack’s can be seen in a video by Akar Architecture, the Iowa City firm that designed the space. Hatchet Jack’s will serve beer and wine, and be open to those 18 and older. Under 21s will get a red wristband, while those 21 and older will get green ones. The green wrist bands will have three spaces that can be marked, so bar staff can keep track of how much someone has had to drink. “Obviously we don’t want anyone to be intoxicated when throwing the hatchets, but we do want people to be able to relax and enjoy a beer or a glass of wine,” Carroll said. Plans call for Hatchet Jack’s to be affiliated with the National Axe Throwing Federation (NATF), one of the two nationwide axe-tossing leagues. The NATF provides member bars with a standardized set of rules and regulations and hold an annual national championship tournament. Carroll is looking forward to Hatchet Jack’s being able to field a team for the tournament. Snacks will be available, but Hatchet Jack’s won’t have full food service. Carroll said he is looking into having food trucks park near the bar at night. 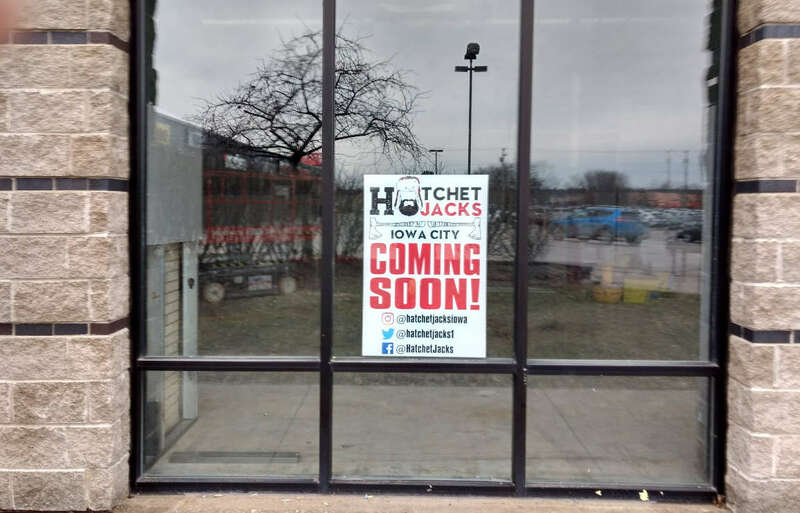 Hatchet Jack’s is scheduled to open in June. I’m holding out for a ping-pong gay bar like Atlanta’s CHURCH. Axe throwing and alcohol; what could go wrong? Looking forward to this. Do you discourage bringing your own axe? Also, if I can prove that I have knife throwing experience, could I bring them to your establishment for practice?